The analysis of soil by particle size provides a useful engineering classification system from which a considerable amount of empirical data can be obtained. This helps in ascertaining possible frost action, determining graded filters, selection of grouting materials, designing of asphaltic and cement mixes etc. GI frames of 45cm, 30cm and 20cm diameter available. To make the process of sieving easier and quicker, electrically operated mechanical sieve shakers are offered by Techno Test. 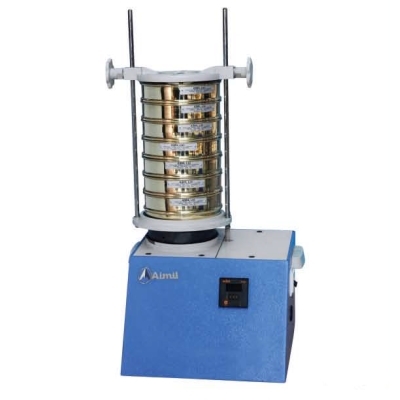 The mechanical sieve shakers effect a more elaborate and standardised sieving action to produce accurate results and eliminate personal errors involved in manual sieving. 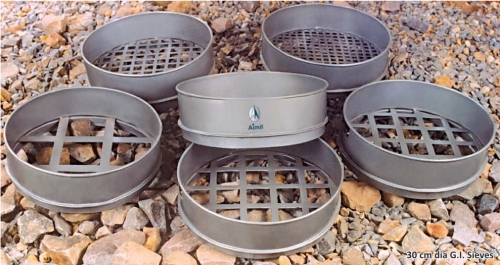 Can carry upto 8 sieves of 20cm diameter.